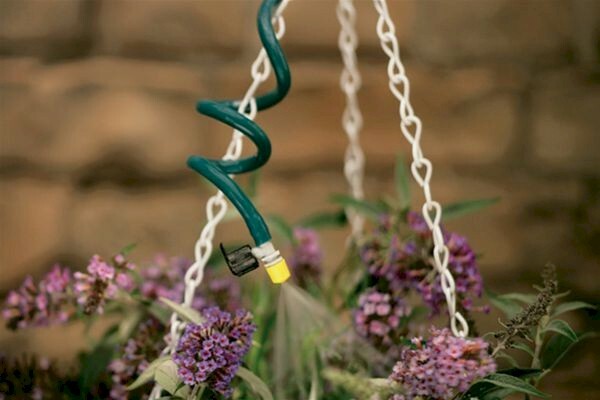 This flexible Misting Sprinkler is ideal for hanging baskets and container plants. Wrap the flexible memory tube around the supports, and position the sprayer right where you need it. Flexible Memory Tube allows precise nozzle placement. For use with 1/4" micro tubing. May also be installed directly into your mainline tubing. Flow adjustment from 0.5 to 8 GPH at 25 PSI.